Cinco Puntos Press, 9780938317524, 95pp. 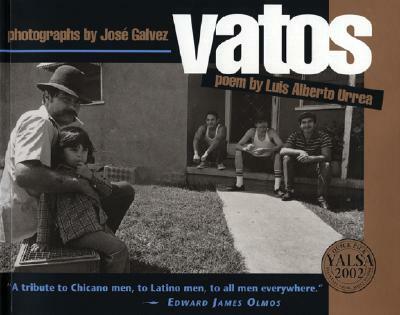 A tribute in photographs and poem--to Chicano men, to Latino men, to all men everywhere. Luis Alberto Urrea is author of widely acclaimed novel The Hummingbird's Daughter and 2005 Pulitzer Prize finalist for nonfiction for The Devil's Highway. A member of the Latino Literature Hall of Fame, Luis was born in Tijuana, Mexico to a Mexican father and an American mother. This is his first graphic novel and Young Adult title.